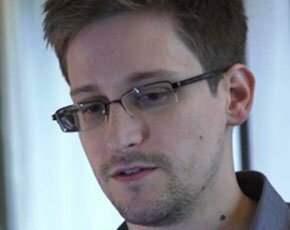 Former technical assistant for the CIA, Edward Snowden, has revealed his identity as the whistleblower to last week’s revelations about US surveillance programmes. The Guardian reported that Snowden had been working for the NSA for contractors for the past four years, and is currently an employee of the defence contractor Booz Allen Hamilton. The 29-year-old is responsible for handing over top secret NSA documents which revealed that the NSA had obtained access to the systems of top internet companies as part of a previously undisclosed surveillance programme called Prism. The programme enabled the NSA and FBI to extract audio and video chats, photographs, e-mails, documents and connection logs. Analysts are able to pull out material that matches a set a selectors or search terms from the data streams of the companies named in a document obtained by the paper. The NSA has also been accused of collecting the phone records of millions of US citizens under a court order issued by the Foreign Intelligence Surveillance Court in terms of the US Patriot Act. Snowden flew to Hong Kong on 20 May 2013 after copying the last set of documents he intended to disclose. He has been there ever since. "We have got a CIA station just up the road – the consulate here in Hong Kong – and I am sure they are going to be busy for the next week. And that is a concern I will live with for the rest of my life, however long that happens to be,” he said. Breach, rinse, repeat - when will companies get the IT security basics right? Finance firms are vulnerable to cyber attacks, so why do customers think they are secure?